Do you want better recruiting? Klimb can make your Talent Acquisition more predictable. Are you ready? He is a committed talent acquisition expert and has helped over 50 startups & enterprises build quality talent teams. His hands on experience across technology, product management, and recruiting is a valuable combination for clients. 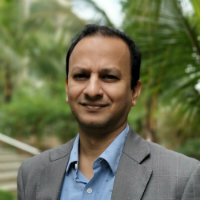 He has helped build innovative products for naukri.com and shaadi.com. He has played a crucial role in technology during early days of expedia.com and drugstore.com. He is also an Alumni of the Indian School of Business.